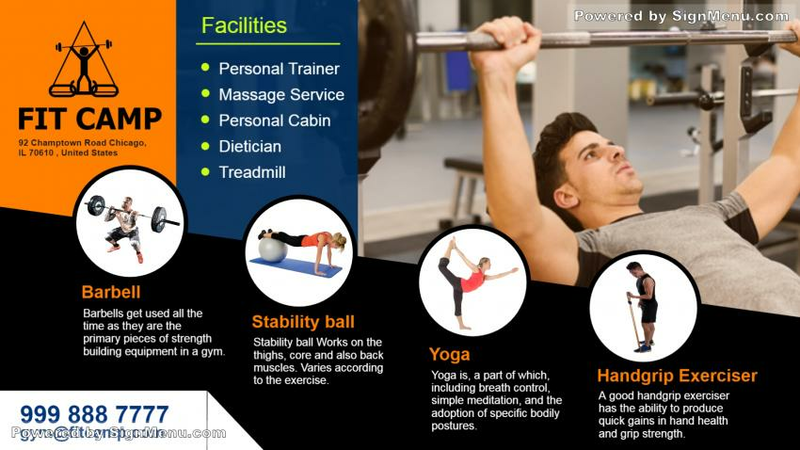 this template of a gym highlights certain exclusive services with attractive graphics. further, the colors of black, orange, blue, brown suggest salubrious ambiance for fitness training. The advertiser should charge a premium for it's exclusive services. This template is ready for download and use.